Airline Approved Pet Carrier: Top 10 Picks for Flying with a Dog! Taking your pet with you on vacation is exciting, but choosing the best airline approved pet carrier is no easy task! You have to take into account whether you have a toy, small, medium or large dog. How about the type of pet carrier? 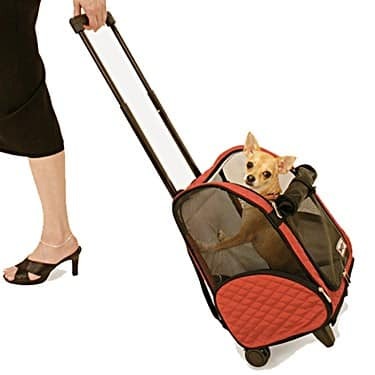 Would you prefer a hard-sided or soft-sided dog carrier, or an airline pet carrier with wheels? Not least, you should buy FAA-approved pet carriers that meet airline regulations. To help you make this tough choice, here is our in-depth guide to buying an airline approved dog carrier. You’ll be able to decide what to buy in no time. This is regardless of whether you have a Teacup Yorkie or a Staffordshire Terrier. So, let’s take a closer look at your options when traveling with a pet. 1 What Are the 10 Best Airline Pet Carriers? 2 What Are the Different Types of Airline Dog Carriers? 2.7.1 What Makes a Good Airline Approved Pet Carrier? 2.8 What Are the Pet Carrier Regulations for Airlines? 2.9 What Are the Dimensions of a Pet Carrier That Fits under an Airplane Seat? 2.9.2 How Do You Calculate the Measurements of Your Dog? 2.10 Which Airline Allows the Largest Pet Carrier? 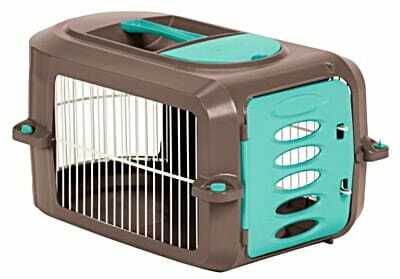 2.11 What’s the Lightest Airline Pet Carrier Available? 2.12 Can I Buy a Pet Carrier at the Airport? 2.13 Which Airline Carrier Should I Buy? What Are the 10 Best Airline Pet Carriers? Alright, so we’ve been over what kinds of dog carrier are available on the market. And we’ve covered what you should look for to suit your style, and to suit your pet. So don’t you think it’s time that we gave you some options? These are our ten favorite airline-approved dog carriers. For each one, we’ve listed what we like about them, as well as what we don’t. For each, there’s also a brief list of features which might make them stand out to you. The Sherpa Original Deluxe is one of the best carriers on the market today. Not only is it well designed, being both comfortable and durable. But it’s recommended by the ASPCA, the Humane Society, and veterinarians. The Sherpa Original Deluxe is one of the very few carriers approved by every single major airline. It features both a front and top entrance so that you can choose whichever is most convenient. It has mesh walls on three sides, which your pet can see through, and a soft interior. The Sherpa Deluxe is completely leak proof, in case your pet is particularly nervous during travel. Both the handles and the bottom of this carrier are reinforced for extra durability and security. We are big fans of the Sherpa because it’s one of the most secure carriers on the market. Dog and cat owners know that their pets are mini-Houdinis: if there’s a way out, they’ll find it. But the Sherpa is one of the most secure soft-sided carriers you can find. Why? For a start, the zips lock together so that they can’t be undone unless it’s from the outside. 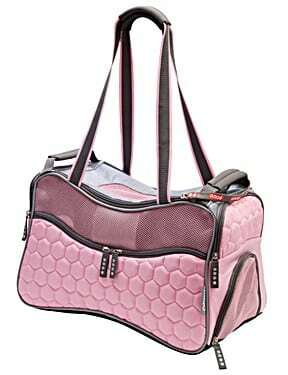 The mesh on the sides of the carrier is exceptionally durable, and can’t be clawed or chewed through. And because the bottom of the carrier is reinforced, there’s no way out through there either. On top of this security, the Sherpa Original Deluxe is a guaranteed airline pet carrier. 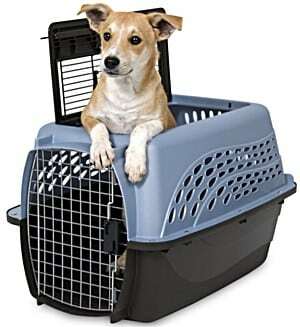 It’s a fully FAA approved pet carrier and can be taken in the cabin of every major airline. The only drawback is that the Sherpa Original Deluxe is for small pets only. Any pet larger than around 22 pounds will be too heavy to carry safely. For reference, that’s the weight of a normal-sized Dachshund. So while the Sherpa Deluxe is perfect for Jack Russells, terriers, French Bulldogs, and Pomeranians, it’s too small for dogs any larger than these. Check the Price of Sherpa Original Deluxe Pet Carrier on Amazon! The Petsfit expandable carrier is amazingly convenient. It folds out to become significantly bigger than its original footprint. This means that it gives your little pet an extra bit of breathing room on long flights. The expandable carrier has a roomy section which zips out from the side. This ‘porch’ gives your pet almost twice the room as the regular footprint of the carrier. The porch and side-opening door are mesh lined. This keeps your pet cool during long and short flights. Its small size when the expandable section is zipped up allows it to meet most airline requirements. When you’re finished traveling, this carrier folds completely flat. This is an advantage over solid-sided kennels, which take up significant space. Of course, the standout feature of this carrier is that it expands. But it would be easy enough to make an expandable carrier that’s flimsy, ugly or doesn’t meet most airline regulations. Petsfit has ticked almost every box. For starters, the bottom of the carrier is sturdy and reliable. It’s just the walls which are soft so that your pet can sit in comfort. Everything about this carrier is quality made, so the fact that it’s expandable makes this excellent dog carrier that little bit better. The Petsfit expandable carrier is for small pets. The largest size that this carrier runs in is a large, which holds twenty pounds, and just over 22 inches in length. This is big enough for most small to medium-sized dogs, but it’s no kennel. Check the Price of Petsfit Expandable Travel Carrier on Amazon! The Outward Hound PoochPouch carrier is what it sounds like. It’s a backpack-style carrier, which you can wear facing to the front. It has soft walls and mesh sides, and is perfect for toy dogs who find it difficult to walk long distances. The PoochPouch comes with shoulder straps so that it can be worn like a backpack. It comes in small and medium sizes, which hold dogs of ten to twenty pounds respectively. The straps, walls, and bottom of this carrier are padded for comfort. The pouch has a pocket to hold treats or toys. Some carriers are built to be strong and sturdy, others to be easy to wheel around. Others still are more fashionable than effective. The PoochPouch provides yet another option for traveling with your pet, which you might prefer over the competition. Carrying a small or toy dog in a carrier like this one is a piece of cake. Ten or twenty pounds in a backpack isn’t a lot of weight, so traveling becomes easy. If you aren’t used to carrying a backpack, you might not pick the right size for your dog. If they’re too big, they won’t fit comfortably, and their head will poke out from the top! If they’re too small, they might struggle to get comfortable as you move around. 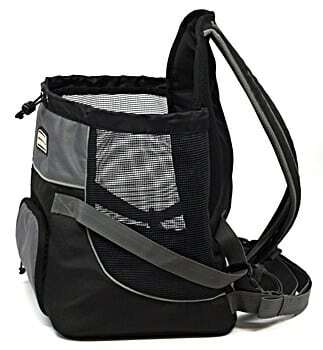 Check the Price of Outward Hound PoochPouch Carrier on Amazon! The Aspen Pet Pet Porter is a classic pet carrier for airline cargo. They can be used for short or long haul flights, and are built to be as strong as possible. You can choose from many sizes, which can fit even the biggest dogs. The Pet Porter range has solid plastic sides, a wire gate, and a handle for carrying. This range can be purchased with optional add-ons like bowls, crate pads, and kennel mats. So even though the kennel is hard sided, your pet won’t be uncomfortable. These kennels can be disassembled for more accessible storage than most other carriers. These are FAA Approved pet carriers. If you’re concerned about your pet’s safety, then solid-sided kennels can’t be beaten. In the unfortunate event of something hitting the kennel, or it rolling over, your pet might be shaken. But they’ll be completely secure and safe, protected against almost anything. The other benefit of these kennels is that the range can fit almost any dog. The smallest sizes fit dogs of up to nineteen inches long. But aside from small, there are medium, intermediate, large, extra-large options for dogs of different weights. So whether you have a toy Chihuahua or a Doberman, there’s a kennel that will work for you. Hard-sided kennels are great for security, but not for convenient travel. These carriers are more cumbersome and difficult to transport than the other options in this list. That’s the price you pay for added security. Check the Price of Aspen Pet Pet Porter on Amazon! The NOZTONOZ Soft-Krate Indoor/Outdoor Pet Home is a soft-sided kennel designed for small, medium and large sized dogs. It’s an option for anybody who needs to travel with their large dog. But, you don’t want the weight and solidity of a hard-sided kennel. The NOZTONOZ Soft-Krate Indoor/Outdoor Pet Home has mesh sides. It is breathable and comfortable. But they’re still strong enough to stand up to claws and teeth. The kennel can be folded down when not in use, for secure storage. The outer cover is removable so that after your journey, you can quickly clean it. The kennel has an inner metal frame to provide similar sturdiness to a hard-sided, classic kennel. We included this carrier in the list because it’s the best of both worlds. The breathable mesh textile sides keep your pet comfortable and cool. But at the same time, they’re tough and tear resistant: which they have to be because the carrier is for large dogs. And that’s our next point. Most soft-sided carriers are for small dogs only, but not this one! You can buy it in a small size, to fit dogs of around 15 pounds, like a Jack Russell. But the scale goes all the way up to an impressive 90 pounds, big enough to fit Akitas, Bloodhounds or retrievers. Pointing out anything wrong with these kennels is difficult. Of course, their soft sides aren’t as strong as those on a classic kennel. But the point is that the NOZTONOZ Soft-Krate Indoor/Outdoor Pet Home offers an alternative option for larger dogs, so that’s a trade-off that many are willing to make. Check the Price of NOZTONOZ Soft-Krate Indoor/Outdoor Pet Home on Amazon! The Snoozer Wheel Around 4-in-1 is a perfect combination of three things. First, the fact that it has wheels means that it’s a piece of cake to travel with. 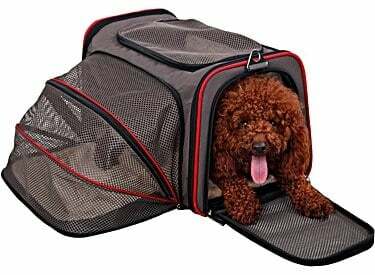 Second, it has tough and durable mesh walls that can keep your pet safe on your journeys. And third, it looks better than the majority of other carriers on the market. This carrier is a 4-in-1: it’s a carrier, a car seat, a backpack and a pet bed. The carrier has rugged rubber wheels so that you can take it almost anywhere. It conveniently collapses flat when you need to store it away. The micro-fiber that this carrier is made from is easy to wipe clean. We love that this carrier offers a little bit of everything. It’s convenient in that you can wheel it around or carry it on your shoulders. Its mesh walls are surprisingly durable, but still comfortable because of their soft interior. And it doesn’t look all that bad either, as it’s well designed. It’s quite lightweight, but not flimsy, so it’s appropriate for small to medium sized pets like Pomeranians and Yorkshire Terriers as well as spaniels. It’s also small enough that it complies with in-cabin regulations for several different airlines. And it opens from above, which can be an appealing option. This carrier is meant for small and medium-sized dogs. Any dog heavier than a spaniel will be too heavy to carry. In fairness to the Snoozer Wheel Around, that’s the case for wheeled carriers. But it would be nice to enjoy that same convenience with a Great Dane. Check the Price of Snoozer Wheel Around 4-in-1 on Amazon! The SturdiBag Pet Carrier range is a great choice if you don’t just want a functional carrier, but a good looking one too. It comes in a range of limited edition prints that can suit any taste. But it’s also functional, sturdy (as the name suggests) and hard wearing. The SturdiBag range is suitable for in-cabin travel. It fits dogs and cats up to 16 inches long, and 11 inches tall. So it’s best for small to medium sized pets like a Chihuahuas or spaniels. The SturdiBag is designed to be weatherproof and easy to wash. It has a pillow that can be taken out and washed. It can hold up to thirty or forty pounds in weight. Whether you’ll want to carry that much weight in a duffel bag style carrier is up to you! SturdiBags are strong and sturdy and can hold a surprisingly heavy pet. So, if a small or a medium-sized dog has been feasting on treats lately, that’s not a problem! But what we love most about this carrier is that it’s not just practical, but fashionable too. The SturdiBag stands out because of its unique print designs. The manufacturers offer limited edition prints like zebra or leopard skin, stripes, leather prints, and patterns to suit all tastes. So while the SturdiBag’s features aren’t all that different to other carriers on this list, its style certainly is. The only thing not to like about this carrier is that it’s a duffel bag. This limits the size of the pet that you can carry unless you’re particularly strong. It’s also less easy to carry than a rolling carrier, or a back or front pack. Check the Price of SturdiBag Pet Carrier on Amazon! 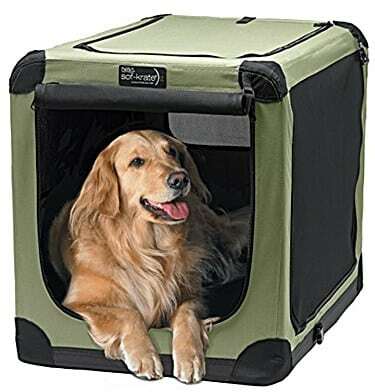 The Petmate Two Door Top Load Pet Kennel is a regular hard sided kennel. The only difference to the usual kinds is that this particular model has two doors. There is a regular gated entrance at the front, as well as a top-loading hinged gate. This is great for nervous pets who don’t like being forced through a front loading entrance. Two hinged gates: one at the front of the carrier, and one in the top, for convenient and comfortable entry. Plastic hard sides for strength and security like all hard kennels. A water cup or treat cup is included with the purchase of a small sized kennel. The hinges close securely so that your pet will find it difficult to escape. Loading them in from the top also makes it harder for them to resist entering the carrier. The Petmate Two Door Top Load Pet Kennel is a little different from other hard-sided kennels. The walls are as strong as any other kind, and feature air holes and wire gates for comfort. The only difference is that you can load your pet in either through the front, or the top. 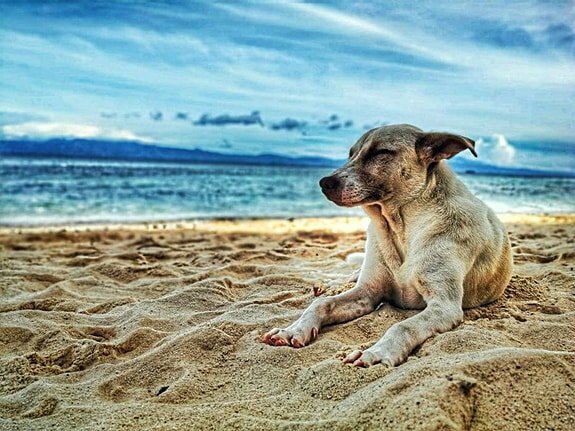 If you’ve never traveled with a pet before, you might not realize why this is so important. If you try to load a cat or a small dog into a carrier through the front, they won’t like it. It’s because pets don’t enjoy feeling trapped, and will do anything to stop you forcing them inside. Loading them in through the top stops your pet from reacting this way. They’ll feel far less nervous being lowered down into the carrier than forced through the front. So we’ve included this carrier because a top loading gate is an unusual feature in hard-sided kennels. Regarding features other than the top loading gate, this carrier isn’t so unusual. It’s little different to any other hard-sided carrier apart from that. But we’ve included it in our list so that you have the option. The only other problem with the Petmate Two Door Top Load Pet Kennel is that it only comes in two sizes. These are small and ‘large,’ but the large is intended only for dogs and cats of 21” length. So it’s only suitable for small and medium-sized dogs like spaniels and toys. Check the Price of Petmate Two Door Top Load Pet Kennel on Amazon! The Argo by Teafco is a carrier designed for small pets. Regarding comfort and convenience, it’s a useful pet carrier, but not the best. What makes it stand out is that the Argo is by far the most stylish carrier on the market today. The Argo is exceptionally lightweight, weighing only two pounds. The Argo has five zippered pockets that you can use for treats, accessories or your luggage. It has a top opening and a side opening that you can feed your pet through during travel. The top opening has three separate closures as well as a safety clip, for complete security. The Argo is a convenient carrier in its own right. But what makes it stand out is that it’s designed just as much for style as substance. While the features above clearly indicate that it’s comfortable for both you and your pet, it’s also a designer bag. For starters, it looks like a stylish tote bag, not a pet carrier. It’s a muted pink bag in an attractive design. It’s perfect if you want to take your pet on holiday, but not be left hauling an oversized, ugly looking carrier! The Argo by Teafco is an over-the-shoulder design. So it can only carry small pets like cats, and toy dogs like Pomeranians. If your pet is particularly heavy, this bag will weigh down on your shoulder and might be uncomfortable. Check the Price of Argo by Teafco Petagon on Amazon! The Suncast pet carrier is an excellent choice for nervous pets. Why? Because it has strong metal bars on three sides instead of walls, which let your pet see outside. This keeps them from feeling uncomfortable and confined during long trips. Rather than hard plastic sides or mesh walls, the Suncast carrier has strong metal bars on three sides. The Suncast carrier has a plastic front loading entrance. It can comfortably hold a 15-pound dog or cat, or a maximum of 30 pounds. When you buy the Suncast carrier, it comes with both food and water trays. It’s specially designed for nervous pets. Being put inside a carrier can be one of the worst experiences that a nervous pet can go through. They can’t understand why they’re being confined in a relatively small space. The Suncast carrier isn’t bigger than any other kind. But for your pet, it feels like it is. The thick walls, normally with only one or two openings, are replaced with bars. These bars are just as secure as hard plastic, but let your pet see outside, and remain calm. The Suncast carrier is relatively normal apart from the fact that it has bars instead of sides. The only drawback is that it doesn’t come with a mat like most other carriers. You’ll have to buy one separately instead. Check the Price of Suncast Pet Carrier on Amazon! What Are the Different Types of Airline Dog Carriers? When it comes to choosing your airline pet carrier, you have a variety of options. There are carriers for dogs large and small. There are carriers which are built for the comfort of your pet, above all else. And there are carriers which are super-easy to cart around with you on your travels. Hard-sided plastic pet carriers are the traditional kind. The benefit of having this model is that they’re sturdy enough to withstand traveling. They’re also capable of keeping rowdy dogs inside if they try digging their way out. This is something to bear in mind if your dog is particularly strong. Soft-sided, fabric carriers are the main alternative to plastic models. Fabric carriers, while not as sturdy as plastic ones, can still be strong. They are often made with heavy duty microfiber, which can withstand scratches and tears with ease. Soft-sided carriers a great solution if you don’t want a bulky, plastic model that can be difficult to hold or store comfortably. Ventilation is provided by mesh side screens which allow in air. Another benefit is that the vast majority of them are sealed with zips, which can be useful. Some soft-sided pet carriers can be expanded, which means that it can be stored away easily. This is because they have zips, which can be unzipped to expand collapsible sections. These kinds can often be collapsed completely for convenient storage and transport, too. It also means that a carrier that may have fit your puppy just right can also be adjusted to your grown dog. So when your dog grows up, you won’t have to buy a new dog carrier. This saves you money, even if your pet carrier is more expensive, to begin with. The most common kind of pet carrier is that which opens from the front. Kennel style carriers typically have a wire gate that opens from the front. Some soft-sided carriers also have an opening at the front, and at the back, using zips. The opening usually is quite large, easily large enough to accommodate your pet. Front opening dog carriers are typically sturdier than other kinds, especially if the carrier is kennel style. This is because the sides, top and back of the carrier can be sturdy and reinforced. Carriers which can open from either the top, the side, the front or all three allow for great convenience. It is unusual to find a kennel-style carrier which has top and side gates, which makes these kinds a rare find. By contrast, soft-sided carriers can have zips at both ends and on the top, almost like a duffel bag. Top and side opening carriers allow you to open them from whichever angle is easiest. This can prove to be convenient, for instance, if the carrier is in your lap. It comes at the cost of the sturdiness of a hard-sided, kennel style carrier. 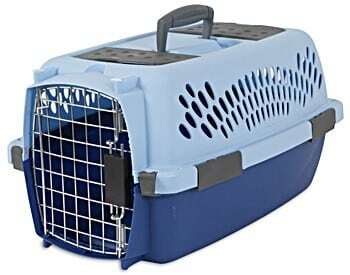 An airline pet carrier with wheels can come in either the hard or soft-sided varieties. This can be exceptionally convenient. When carrying your luggage by hand, the fact that your carrier has wheels allows you to travel in comfort. Not all carriers have wheels. In fact, the majority of carriers don’t. Those that do are typically more expensive, but that’s the price of paying for convenience. It may be a good option if you are older, have arthritis, an injury, or you want to make life a bit easier. 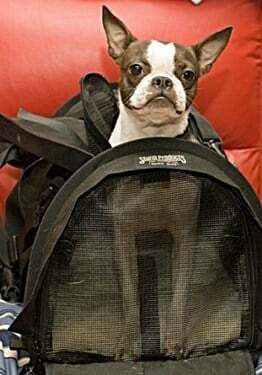 Some dog carriers can be worn over the shoulders, like a backpack or a baby carrier. These can be used for day trips and camping, or for transporting your pet to and from the airport. Not only that, but a puppy or toy dog looks adorable when you carry them in one of these. Of course, these carriers are intended only for small dogs, toy dogs, and puppies. Carrying around a Great Dane or a Labrador on your back will likely give you a hernia. But if your dog fits, this might be an excellent choice for you. What Makes a Good Airline Approved Pet Carrier? Picking out a pet carrier, but want to choose the best quality you can find? Even though you might think they all look the same, you would be surprised at the variety you can choose from. In fact, there’s been a boom in recent years of the choice available for you to buy. This boom means that now more than ever, you can pick the approved pet carrier that’s right for you. That’s why we’ve put together this list of factors that all go into making a suitable pet carrier. So, when you’re making your choice, bear these eleven points in mind. This is the very first thing you should think about when you’re purchasing flight pet carrier. You have to make sure that your pet is going to fit safely and comfortably inside your dog carrier. 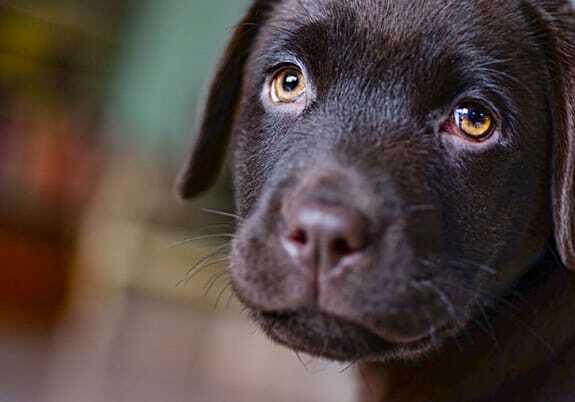 If you choose one that’s too small, your pet is going to have a miserable experience. Fortunately for you, modern pet carriers aren’t just one size fits all like they used to be. They come in all shapes and sizes, to suit pets from hamsters and rodents to dogs. So when it comes to picking out a carrier for your pet, large or small, you won’t be stuck for choice. This is vital to your pet’s comfort, whether you’re traveling a long distance or not. Most traditional pet carriers have large slats on the sides and a door that air can come through. But modern designs are variable, and might not offer the same comforts. The benefits of good ventilation are clear: without ventilation, your pet won’t be able to breathe comfortably. Good choices are typically carriers which have a metal swing gate on the front that air can come through. This will keep your pet cool and comfortable during long flights. This is another must-have feature, especially if you’re going to be traveling frequently and over large distances. Whether your pet is going to be in the hold, or underneath your seat, it’s vital that they’re well protected. The same goes for when you keep your dog carrier in storage, when it could easily break because of something falling on it, or when it’s being moved. Some carriers are built for comfort, some are built for style, and others are built to be extra durable. Finding a dog carrier that ticks each of these boxes can be a tough task unless you know where to look- which is why we’ve put together a list of our favorites below! A good pet carrier will allow you easy access inside so that you can clean it out. This is vital, especially if your pet has an accident during the flight. There’s nothing worse than struggling to clean the inside of a pet carrier when it’s too awkward to get inside. This is mostly the case for old style pet carriers, which typically only have one point of access. Most carriers these days are opened with zips, and many can be opened from both sides. This makes for much easier cleaning than older models. If your pet is small enough, you can keep them on your lap for parts of the flight. This also keeps them from getting too nervous during the time that you’re traveling! But when you’re too tired to keep them on your lap any longer, you’ll have to keep them underneath the seat- will their pet carrier fit? Picking a dog carrier that’s comfortable for your pet, but small enough to fit under an airline seat, is tough. Therefore, this often comes down to your personal choice. Which is more important? Is it your pet’s comfort, or being able to stow them away safely under the seat? There are options that you can choose from, however, that tick both boxes. Because most carriers these days are built from flexible fabric as opposed to plastic, strength is an issue. You want to pick a dog carrier that’s strong enough to withstand the stresses and strains of travel. But you also want one that’s easy to carry and store for when you’re at home. This is a problem with many modern, stylish carriers, which focus on comfort and looks over strength. This is no doubt an improvement over the drab, boring plastic carriers of the past. But at the same time, you have to find a balance between strength and style that works for you. Remember that when you’re not traveling, you’re going to have to keep your pet carrier somewhere. Whether you choose to keep it in the attic, the basement or at the bottom of a wardrobe is up to you. But you’ll have to store it somewhere, wherever you choose. The first thing to consider is whether to choose a small size that can easily be stored. You should also think about whether it’s strong enough for things to be stacked on, or around it. After all, the majority of the time that you own your pet carrier, you won’t be using it! This is a crucial point because you don’t want your pet uncomfortable during your flight. Having some cushioning or even bedding in your pet carrier is a great solution. But not all carriers come with this kind of option, with just plain fabric underneath your pet. Having a well-cushioned carrier means that your carrier will probably be a little larger. But this is a trade-off that most people are happy to make for their pet. No matter what kind of carrier you buy, big or small, try to pick a comfortable one. For the times when you are traveling, it’s important that you can quickly and easily carry your pet carrier. Otherwise, it wouldn’t be called a carrier, now would it? But not all carriers are created equal when it comes to how easy they are to carry. A great example is that you can get carriers with wheels, like small wheeled suitcases. You can also find carriers which you can carry on your shoulders like a backpack. You might prefer these carriers over ones that you have to carry like a briefcase, which gets tiring. If your pet is particularly nervous, they may have trouble controlling their bladder on a flight. Cheaper, lower quality carriers won’t be leak proof. And that’s a nightmare to deal with in the middle of a long-haul flight. You can avoid that situation by picking a leak-proof carrier. Because of the wide choice available on the market today, you can pick a pet carrier that looks good. Whether choosing one that’s worn like a backpack, or one you carry, it doesn’t have to look bad. You can pick one that’s your style, be it chic or rugged, or one that’s your favorite color. Of course, safety and ease of use are more important than just looking good. When choosing between two carriers which are almost the same, you can pick the better-looking one. 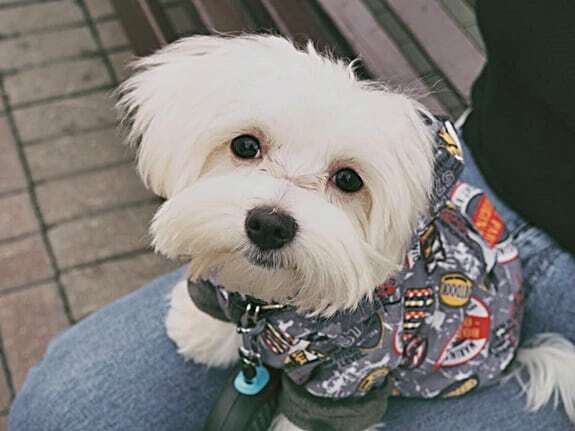 It’s worth keeping in mind so that your pet can look as cool as you when you travel. What Are the Pet Carrier Regulations for Airlines? Before you go on your travels, you need to know whether the carrier you choose meets regulations. 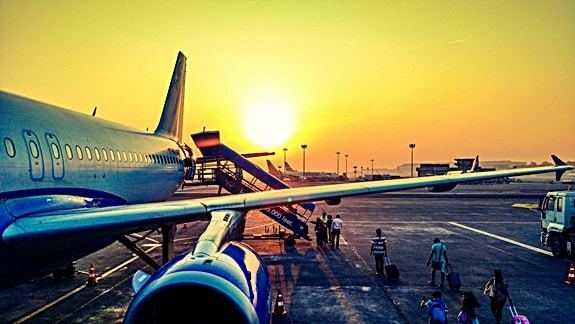 These regulations differ from airline to airline, so you should check the regulations with whoever you’re flying with specifically. 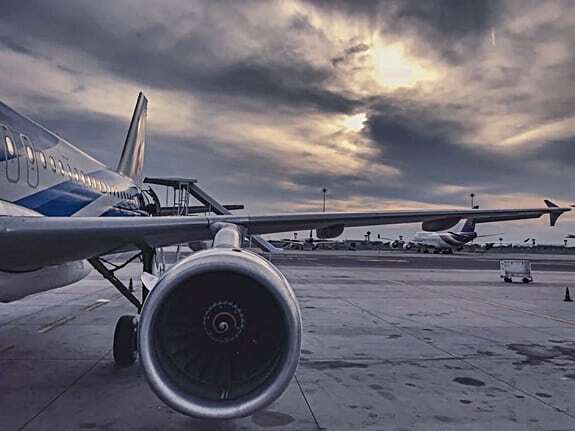 Our guide below covers some of the most popular airlines and their regulations. Important: Airlines have different guidelines for hard-sided and soft-sided crates. The guidelines for hard-sided crates cannot be exceeded even by a fraction of an inch. If a soft-sided carrier is slightly bigger than regulation, that isn’t as much of a problem. This is because soft-sided carriers can be adjusted to fit underneath an airplane seat. Even if they are slightly too big, you can always squeeze them in. There are two general rules when it comes to traveling with your pet. First, they must be vaccinated against rabies unless you are traveling from certain CDC defined countries. And second, they are not allowed outside the carrier. Follow these basic rules and you won’t go wrong. The maximum size of your hard-sided, in-cabin carrier must not exceed 16” long x 8.5” high x 10” wide. There is a pet fare of $50-59 each time you fly. You are allowed to travel on West Jet with a maximum of just one pet. You cannot bring a pet into the cabin if they weigh more than 22lbs. If your pet weighs more than this, they can travel in the cargo hold. The maximum size of your hard-sided, in-cabin carrier must not exceed 17.5” long x 7.5” high x 12” wide. Hard-sided kennels of any size are allowed in the cargo bay. Pet carriers are allowed on most United Airlines domestic flights, and there is a pet fare of $125 each way. Rules for international flights vary, so contact United for more information. Carry-on pet carriers must be well ventilated and leak proof. The maximum size of your Southwest carrier must not exceed 18.5” long x 8.5” high x 13.5” wide. Pet carriers are only allowed on domestic flights, and there is a pet fare of $95 each way. Your pet must be vaccinated. You are allowed to travel with a maximum of one carrier, although you can have as many pets as you like in that carrier. Pet carriers are a carry-on item only and must be well ventilated and leak proof. The maximum size of your carrier must not exceed 19” long x 9” high x 13” wide. Pet carriers are only allowed on American Airlines domestic flights, and there is a pet fare of $125 each way. Soft-sided collapsible kennels such as Sherpa bags can be larger if they’re made of a water-repellent material, are padded or have nylon mesh ventilation on 2 or more sides. The maximum size of your pet carrier is determined by the aircraft you are flying on, not by Delta. You should, therefore, contact the reservations desk at the airport for more information. There is a pet fare of $125 each time you fly. Soft- or hard-sided kennels must be leak-proof and ventilated on at least two sides. Kennels may be checked in as cargo, provided that they are hard sided, and are ventilated on three sides. The maximum size of your carrier must not exceed 17” long x 7.5” high x 11” wide. There is a pet fare of $100 each time you fly. You are allowed to travel with a maximum of two carriers, provided that you purchase the seat adjacent to your own. 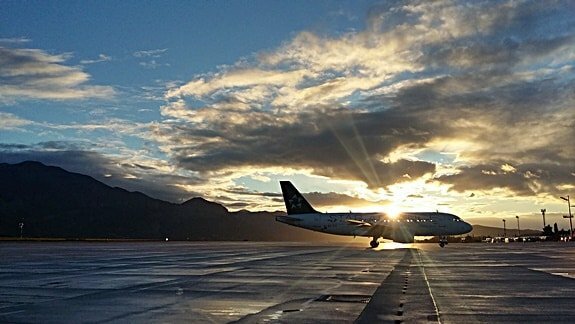 Alaskan Airlines allows for pets to travel as cargo, apart from short-nosed dogs and cats, due to their difficulty breathing. Virgin Airlines do not define the maximum size of the in-cabin carriers they allow on board. They also state online that the cost of traveling with your pet ‘depends on a combination of the size of its travel box, destination and time of year.’ We recommend that you contact the airline or the reservation desk at the airport for more information. Pets are allowed on both domestic and international flights. What Are the Dimensions of a Pet Carrier That Fits under an Airplane Seat? First, don’t think of those guidelines as the maximum size of pet that you can take on board. It’s the size of the carrier that matters, and your pet has to fit into the carrier with room to spare. So really, the fact that Alaskan Airlines allows a 17” tall carrier means that your 17” pet won’t fit. Second, these guidelines are malleable if you have a soft-sided carrier. So long as it can be compressed underneath an airline seat, it’s small enough. It might sound like a simple task, one that you can do just before you buy your pet carrier. But it requires a little more care because it’s more complicated than you think. Here’s a step by step guide on how to measure your pet, and get them ready for the big day. How Do You Calculate the Measurements of Your Dog? It sounds simple, but it’s not just about wrapping them in a tape measure. Your pet’s length is calculated from the tip of their nose to the base of their tail. Your pet’s height must be measured when they are standing up straight. A great tip is to use a piece of string and then measure the string. You might not realize until you try, but it can be frustrating trying to measure a dog. They’re always shifting around and trying to see what you’re doing, making it difficult to read the measurement. Pro Tip: To get accurate measurements of your pet, make sure they’re relaxed first. This is going to make measuring them far easier because your pet won’t be wriggling or shuffling around. The more your pet shuffles, the less accurate your measurement will be. Start by measuring your pet’s length. It can be hard to catch them when they’re in a good position in which they can be measured. So one trick is to measure them in parts: first the head, then the body, and lastly the tail. Add these measurements up to your total. Next, measure their height. Again, if it’s easier to measure them in sections, then do just that: measure their legs first, then their body, and then up to the tallest point on their body, usually the crown of their head. Add each measurement and you’ll have both their height and length. The measurement doesn’t have to be down to an eighth of an inch. In fact, you should allow for some slack in your measurement. Your pet should be comfortable, so having a dog carrier that’s an extra inch bigger is a good thing. Important: Leave lots of room for maneuver. Just because a carrier fits a pet that’s 18 inches long, that doesn’t mean that your 18-inch long pet will be comfortable. It might be a little smaller than they would like, so you should buy a bigger size. Ultimately, you shouldn’t be trying to cram your pet into an under-seat carrier if they’re too big, or just about small enough. If flying is uncomfortable for them, they aren’t going to want to come with you the next time. Think of your last experience flying on an airline with almost no leg room: it’s like that for your pet in a tiny carrier, only worse. There’s something else you should bear in mind when you’re calculating the size of your pet and carrier. Are you planning on giving them a cushion, something soft, or some waterproof pet pads? If so, this can significantly reduce the height they have available, making the carrier too small for them. Which Airline Allows the Largest Pet Carrier? 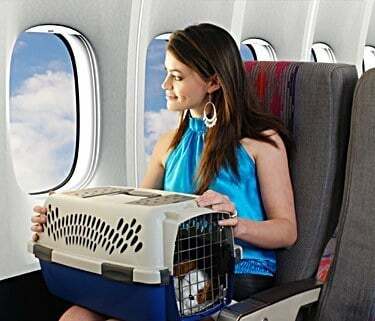 The airline which allows you to bring the largest pet carrier on board is American Airlines. If you’re flying AA, you can bring a 19” long x 9” high x 13” wide carrier with you in-cabin. This means you can bring most dogs up to the size of a Shih Tzu or a pug. But in truth, the difference between the airlines is hardly more than an inch or so at most. Each airline varies between around 7.5 and 9” as the maximum height they allow and 17 to 20” long. No airline will allow you to bring medium or large sized dogs in-cabin. If you want to bring a pet larger than this with you on vacation, they’ll need to be taken as cargo. In the cargo hold, you’re essentially allowed as large a kennel as you can buy. So, whether you want to bring a Newfoundland or a Pomeranian with you on vacation, you’ll be able to. What’s the Lightest Airline Pet Carrier Available? Pets are heavy enough to be tough to carry on their own. The problem is only made worse if you have to grapple with a weighty pet carrier too. So it’s only natural that you want to pick the lightest airline approved pet carrier you can find. Of all the carriers we feature on our site, there are a few that stand out. The Argo by Teafco weighs in at only two pounds- but it can only carry very small dogs. For carriers that can carry most medium sized dogs too, there’s only one choice: the SturdiBag range. SturdiBags are soft-sided, duffel bag style carriers that you carry over your shoulder. As the name suggests, their mesh and microfiber linings are durable and robust. But they weigh in at an impressive 2.5 pounds. The manufacturers state that it has been safety tested with pets up to 50 pounds. But, it’s up to you if you want to carry that much weight around. Can I Buy a Pet Carrier at the Airport? Generally, no you can’t find pet carriers to buy at the airport. Only a few airlines like JetBlue, Southwest, Continental, and AirTran sell in-cabin carriers. A few more will sell you hard-sided kennels for cargo transport, but that’s it. They can be found in some airports. For some fliers, they will have been told at check-in or before they board that their pet carrier is too big. So, for these people, there is little choice but to buy another carrier or leave their pet behind. We can forgive you for thinking that your pet carrier isn’t the most important thing. So what’s the harm if you buy one at the airport, rather than getting one in advance? Well, you can do that, but there are a few reasons why you should consider planning ahead. The first reason is that the pet carriers which are on offer at the airport are not typically very varied. There will be a few different kinds available for the few customers who buy them at the airport. But there will be next to nothing compared to the variety of specialist pet stores, or from online. The problem with this lack of variety isn’t that your pet carrier won’t match your luggage or handbag. It’s that the carrier might not match your pet, which makes the ride an uncomfortable one. In fact, the worst case scenario is that you won’t find one that can fit your pet at all. Another reason why you shouldn’t buy a carrier at the airport is that they are typically overpriced. Think back to the last time you had to buy something like a socket converter or a luggage lock at the airport. They cost far more than market value because the shop owners know that you have next to no choice! 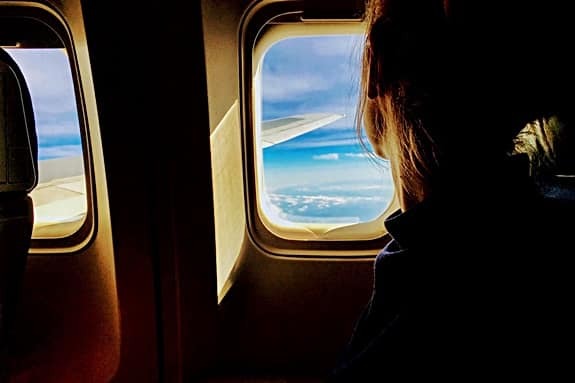 Which Airline Carrier Should I Buy? To help you make that final decision, here is our rundown of the three carriers we recommend. They’re divided between those for toy and small dogs, those for medium sized pets, and kennels for large sized pets. The Sherpa Original Deluxe is our number one choice for small pets. It’s durable and lightweight, and it looks great. But what makes it stand out is that it’s ASPCA and veterinarian approved, and meets every single airline guideline. You can’t go wrong if you need to bring your Shih Tzu or Chihuahua with you on your vacation! We like the Snoozer Wheel Around 4-in-1 because it’s the most convenient way of traveling with your medium sized pet. It can be challenging to carry medium sized dogs like Cocker Spaniels because of their weight when you carry them by hand, or on your back. The Snoozer lets you cart them around like hand luggage- and it’s a tremendous all-around carrier, besides. The Aspen Pet Porter Plastic Kennel is a classic kennel for dogs of any size. It’s well ventilated, which means that it meets almost every airline requirement of a pet carrier for airline cargo. Not only that, but it’s precisely the kind of sturdy manufacture you should expect from a hard-sided kennel. You can rest assured that your Doberman, Labrador or Retriever will be comfortable and safe in one of these.